Eucharistic Adoration will be from 6:00 p.m. - 7:00 p.m.
Eucharistic Adoration is the act of simply being in the midst of the Real Presence of Jesus in the Eucharist – the real body, blood, soul and divinity of Christ. The actual act of adoration of Jesus Christ, present in the Eucharist, and giving of thanks and honor to Him through prayer is the ultimate goal of this time we spend in His presence. One of the extraordinary benefits of this posture is its invitation to gratitude and humility – an invitation to find perspective in our busy lives and open ourselves up for the possibility of peace and calm. Although Adoration had been in practice for centuries, during the 16th century, the Council of Trent provided great clarity with this declaration: "The only begotten Son of God is to be adored in the Holy Sacrament of the Eucharist. The Sacrament is to be pubicaly exposed for the people's adoration." Pope John Paul II reemphasized the importance of the practice often during his papacy: "The Eucharist, in the Mass and outside of the Mass, is the Body and Blood of Jesus Christ, and is therefore deserving of the worship that is given to the living God, and to Him alone." Eucharistic Adoration is a beautiful, devotional practice that has endured through the ages! Eucharistic Adoration is usually a personal, not a group, experience. During Adoration you have the opportunity to relax, pray, listen, reflect, read, to just breath – and find calm, peace and tranquility. Some people take this time to reflect and pray about challenging situations or to simply thank God for their many blessings; others use the time to read books they’ve been meaning to get to, such as the Bible, the Catechism of the Catholic Church, or other reading that enriches the "inner life." Some pray the rosary. Many do all of the above! There is no one right way to have a positive experience during Eucharistic Adoration. The only requirement is that an attitude of reverence and humility is adopted in recognition of the Real Presence. 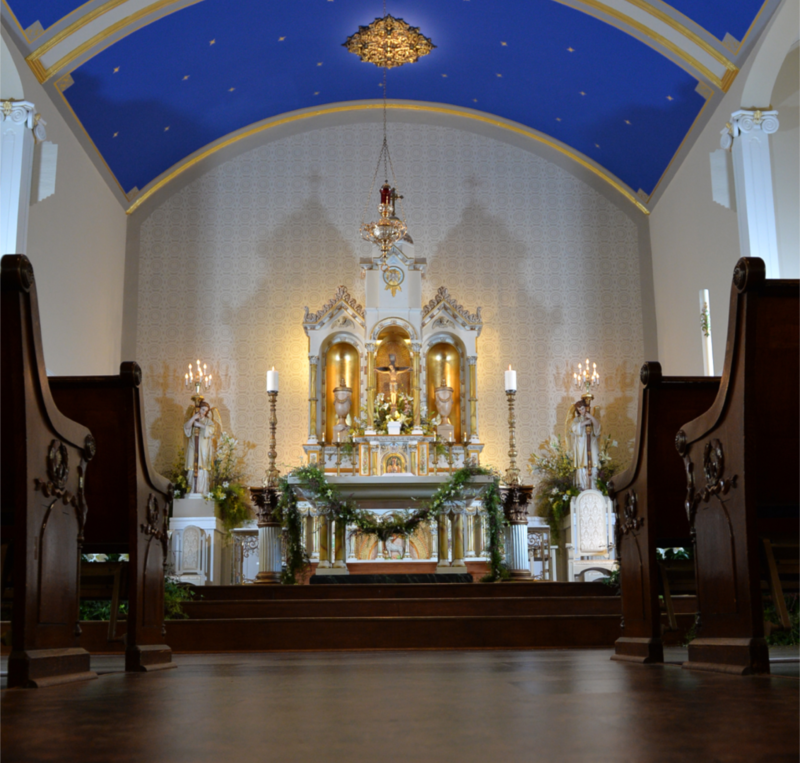 Before seating or kneeling in a pew, genuflect to recognize Christ in your midst. What you chose to do after that – pray, read, reflect –is your personal decision and between you and our Lord!